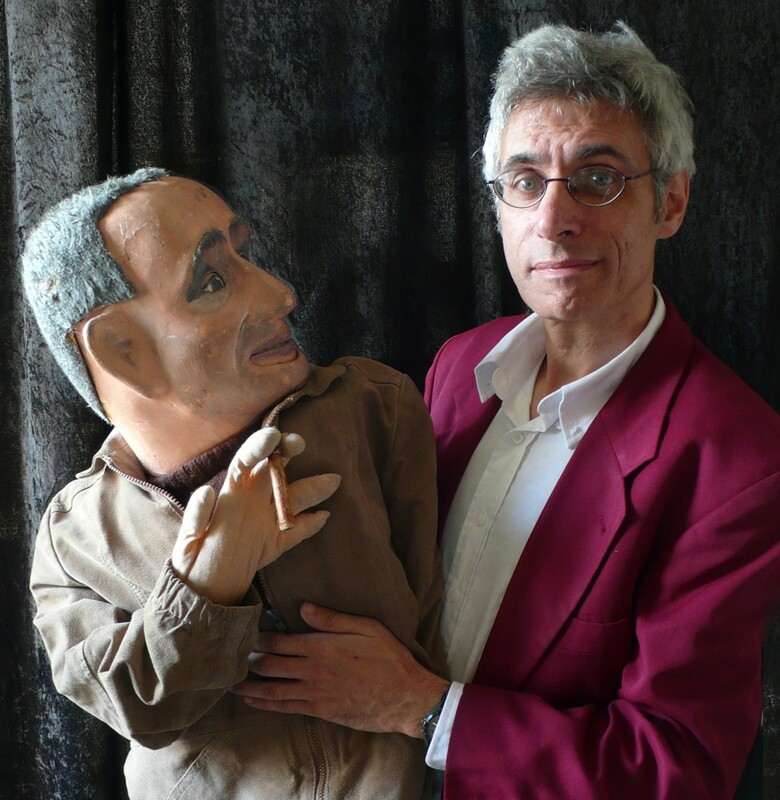 For more than 25 years, Ian Saville has been presenting his Marxist Magic and ventriloquism. Whereas David Copperfield is content with little tricks like making the Statue of Liberty disappear, Ian Saville aims at the much more ambitious goal of making International Capitalism and exploitation disappear. True, he hasn’t quite succeeded, but he keeps on trying. This is a funny, magical, thought-provoking and topical celebration of Socialism. ‘A deft and funny routine … captivating in its charm … utterly infectious.’ He will be presenting also a selection from his show Brecht on Magic. Ian Saville (b. 1953) began doing magic tricks at the age of 10 or 11. Since then he has studied Drama at Exeter University, worked with the touring political theatre group Broadside Mobile Workers’ Theatre, and in community theatre. Around 1979 he started developing a ’socialist magic’ act, using magic tricks and ventriloquism to present and celebrate a socialist view of the world. This act, in its several variations, has been performed in theatres, cabaret clubs and festivals, as well as at conferences, demonstrations and on picket lines throughout Britain and abroad. He has developed a number of full-length one-man shows from this material, including Brecht on Magic, in which a ventriloquist’s dummy of Bertolt Brecht takes Ian through the basics of socialist conjuring. Ian has also trained with Augusto Boal, and worked as a performer with forum theatre group Arc. Ian’s PhD looked at the development of workers’ theatre in Britain in the 1920s and 1930s. As well as continuing to perform, Ian teaches on the Theatre Arts degree at Middlesex University, London.